The Wolf Pack has Gathered! Wolves work in packs–team work, as long is it isn’t a lone wolf. I was reading about one that wanted to join a pack, but the pack leaders wouldn’t let him join. Kind of like Rudolf the Red Nosed Reindeer, right? But he was persistent. Kept staying on the outskirts of the pack when they gathered for anything. Every once in a while, the male pack leader chased him off. And he’d run away because wolves protecting their territory can kill other wolves. He wasn’t giving up. Which makes you think of what? He was pretty much an alpha in his own right. Yet…he wanted to live with the pack. So one day, the alpha male and female welcomed him. And he was finally part of the pack. If you picked up A SEAL Wolf Christmas, hope you are enjoying it!!! ← A SEAL Wolf Christmas is Out Today, and the Wolves are Howling! got it for my kindle cant wait to start reading!!! Just finished ! You out did yourself, it was a fantastic read. Now what do I do ? 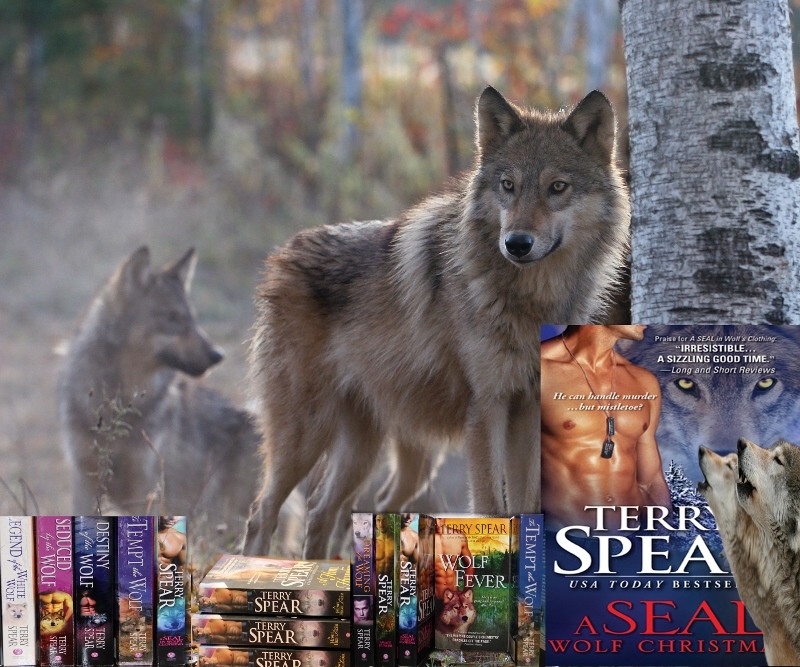 I guess I could start at the first book and re-read 🙂 Thanks for your wonderful imagination and research you do to bring your wolves and Seals into your readers hands. Many twists and turns, laughter and tears. It was great ! Yay it is finally on Sale at Barnes and Nobles nook for $4.55!!! 🙂 Can’t wait to start reading!